Registration is recommended for Substance abuse prevention specialists, public health professionals, health educators, and key coalition staff. 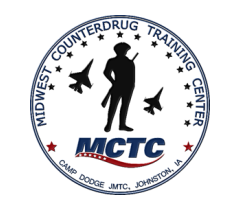 The Iowa Department of Public Health (IDPH), in collaboration with Midwest Counterdrug Training Center (MCTC), is offering the Substance Abuse Prevention Ethics Training. Identify standards of conduct for relating to service recipients. Set professional goals, with prevention ethics standards in mind, for working with service recipients. Utilize a method of decision making for difficult ethical situations. Substance Abuse Prevention Skills Training is a 2 Day (16 Hour) course.